Dusty Hernandez Harrison (29-0 16KO) is an undefeated welterweight who is fighting Mike Dallas Jr. on Saturday May 13th, live on B.E.T. Harrison is a very young 21 years old, but has been pro for five years already. Harrison is signed to the recently started Roc Nation Sports and will headline another of their Throne Boxing shows at the D.C. Armory. Harrison was nice enough to take time out of his schedule to answer a few questions for us at Boxing Insider. Boxing Insider: You recently split with your father as your trainer. What was the reason for the split? Dusty Harrison: You aren’t gonna get a good answer out of me to be honest. It’s a personal family thing that goes deep, outside of boxing. The hard part about it is that me and his relationship was so much boxing. But at the end of the day, I’m still a boxer and I can’t tell Roc Nation, Fila and Geico, “Hold On”. I have to keep fighting, keep boxing, and keep training. I’m training at Head Bangers and the best part about it is I’m training with great fighters like, Adrien Broner, Rob Easter, Lamont Peterson and Austin Trout. It has been a big benefit in my sparring switching over to that gym. Boxing Insider: You were recently out in San Diego as a sparring partner for Canelo ahead of his fight with Amir Khan. What was that experience like? Dusty Harrison: Oh, that was great. Canelo’s team and Golden Boy treated me so good. They are very respectful people, I had to thank them so many times for the whole experience. Canelo is a cool guy, super nice, but he’ll try to kill you in the ring. Boxing Insider: So what’s it like especially training with Canelo, given that you two are so close in age? Dusty Harrison: Seeing someone like Canelo being so successful and young, it is definitely something I can relate to. It makes everything seem more in reach, more realistic. It’s like motivating since he’s only a few years older than me. It’s almost like seeing someone from my neighborhood make it out. It gives you hope. Not that I needed the motivation, but it definitely gives you more of it. Boxing Insider: So your opponent for this fight, Mike Dallas Jr. is your most experienced to date. 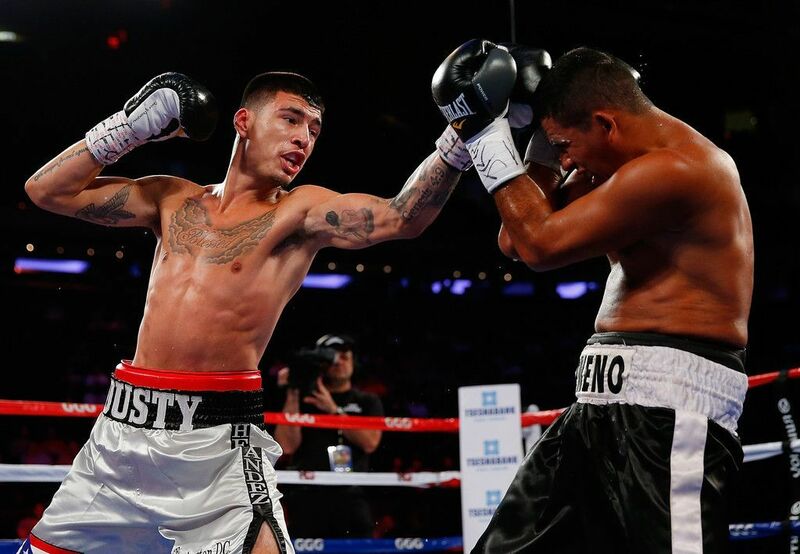 Dallas has fights against Josesito Lopez, Mauricio Herrera and Lucas Matthysse. Do you expect him to be on another level, than your other opponents? Dusty Harrison: Yes, I do. It is a big fight for me. Mike Dallas has 21 wins and lost to some good fighters. Everybody has counted him out, and nobody has counted me in yet. He’s coming into this fight to gain respect. Boxing Insider: This will be your 30th professional fight in 5 years. Are you content with the pace your career is going? Dusty Harrison: No, it should be 60 or 70 (laughs)…Ya, how can I complain. Who does that many fights that fast anymore? I’m still young, and I want to take advantage of it while I can. I don’t need the time to just sit around and recoup like the older fighters do. I may take a week off after a fight, but I don’t really need to. I just go right back to the gym and I don’t take that wear and tear that the older fighters do. Boxing Insider: So how much longer do you think you are from top ten guys? Would you say months away, later this year, or are you years away? Dusty Harrison: You’re asking the wrong person, I was ready five years ago (laughs). Realistically, my career has been in steps, and like you said Mike Dallas is a step up fight for me. To do that a few more times this year and then next year, we start to fight some guys that people are really interested in. Fights where people might say “I don’t know about this Dusty”. To be the underdog coming up next year, we will take some fights like that. Then maybe it’s coming quicker to me, but within 2 years, I’d like to be fighting guys at that top level. I mean, Canelo fought Mayweather at 22, I’m only 21. I’d love to fight someone at the top when I’m 23 or 24. Boxing Insider: You are a D.C. fighter and D.C. is having a sort of renaissance of young fighters coming up. Could you give us a guy that we should keep our eye on? Dusty Harrison: Aujee Tyler. He’s a guy that I grew up fighting with. He’s the best I’ve seen. Everybody around here knows about him. Man, I can name like 30 people in D.C. that are gonna come up big. There is a guy on my undercard named Sam Crossed, the Vanilla Gorilla, that is bringing fans to D.C. Selling tickets. He is only 2-0 and he’s been in a Super Bowl commercial, two under armor commercials. Keystone has been able to give a lot of fighters a chance after the Lamont Peterson v. Amir Khan Fight and D.C. has just been taking off after that. The rebirth of boxing on mainstream network television and the approaching superfight between Floyd Mayweather Jr. and Manny Pacquiao is bringing unprecedented coverage to the sport of boxing in our times. One fighter who seems curiously absent from the goldmine of media coverage, however, is arguably the sports most talented practitioner, Andre “Son of God” Ward. After defeating some the toughest opposition in recent years, Ward has spent the last two years in a curious tailspin of near constant injuries, out the ring squabbles, and inactivity. Until his recent signing with boxing’s newest player, Roc Nation Sports, Ward was involved in a bitter contract dispute with promoter Dan Goossen, a case that went to court three times on a variety of different jurisdictional levels. Each time, Goossen was deemed to be in the right, one of the rare times in boxing the majority of its notoriously jaded fan base actually sided with the promoter instead of the fighter. Goossen’s untimely death in 2015, however, allowed Ward to seek new representation. Despite his high profile public signing with Roc Nation (courtesy of figure head Jay-Z’s celebrity) he has yet to sign a contract for a comeback bout. Rumors are abounding over the struggle between HBO and Ward over opponent selection. Recently the opponent selected by Ward’s people Thomas Oosthuizen, a struggling fringe contender from South Africa, was deemed inadequate by HBO. Ward’s outright refusal to acknowledge the legitimacy of his contract led to him spending all of 2014 absent from the ring. 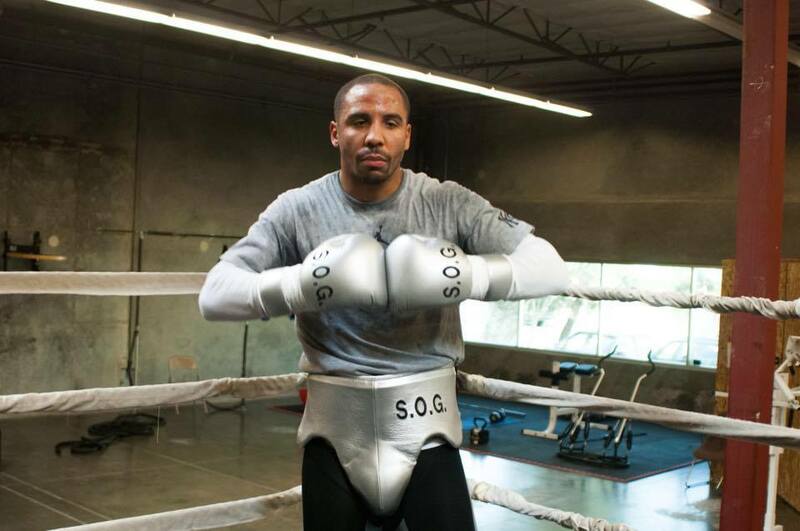 The “SOG’s” last performance was a foul-fest against top contender Edwin Rodriguez all the way back in November of 2013. Since that point, the public reaction to Ward’s perceived “diva” behavior has moved from scorn to utter indifference. It’s been so long since Ward has been in the ring that major boxing outlets like ESPN and The Ring (for what that’s worth) have removed him from the rankings for chronic inactivity. Most boxing insiders appear to believe that Ward bears a great deal of responsibility for the wasteland that his career has become. However, is it possible that the public has always been a little too hard on Ward? Ward’s path to success has been anything but conventional. Despite being the only American boxer to win a gold medal since 1996, Ward has constantly struggled for respect and recognition. Unlike many previous fighters, winning the gold medal didn’t lay a red carpet to riches and fame for Ward. After making a glitzy pro-debut on HBO, he was largely discarded by many in the boxing media. Ward’s development happened on the back pages of the boxing world, where he honed his craft against a variety of journeymen and contenders with different assets and styles. Despite his low profile, Goossen somehow managed to maneuverer Ward into the ground-breaking “Super Six Championship” series on Showtime, a super-middleweight tourney where he was considered a massive underdog. Despite having just twenty professional fights, Ward dominated tournament favourites Mikkel Kessler, Arthur Abraham and Carl Froch with an athletic superiority not seen since Floyd Mayweather. Ward capitalized on the victory by laying an absolutely clinical beating on then light heavyweight champion Chad Dawson. Regardless of one’s personal feelings towards Ward’s personality or fighting style, one cannot deny the magnitude of his accomplishments. Ward has a Hall of Fame resume of victories, and he’s just 31 years of age. Despite their vastly different personalities and temperament, Ward’s career greatly resembles that of Mayweather’s at a similar stage. Mayweather was a three-weight division world champion before he was twenty-eight and had been on the pound for pound list since his early twenties, yet before fighting Oscar De La Hoya the guy couldn’t sell out his living room. Mayweather, like Ward, struggled to tap into a boxing market that in North America is geared toward the Latino fan base. In recent years, boxing promoters have utterly failed, for the most part, to engage with the African American market. After all, Mayweather only became a household name when he left Top Rank. Can Ward do the same thing? The move to Roc Nation, which as of yet has no track record of success in boxing, appears to be an attempt to engage with a wider cross section of fans because of Jay-Z’s success in the entertainment industry. Ward shares almost no personality characteristics with Mayweather other than hubris, which they express in vastly different fashions. Ward isn’t going to “make it rain” or get arrested for domestic assault to draw attention to his fights. Ward must win people over the hard way: by beating the very best fighters out there. The truth of that statement makes his absence from the ring and contempt for the late Goossen all the more puzzling. With boxing set to erupt in the next several months with a non-stop slate of events on a multitude of different platforms, Ward needs to set his ego aside and get into a boxing ring. If he does not, he runs the risk of reaching a level of obscurity that will be impossible to overcome. Also, after so long away from the ring, how much longer can Ward go without fighting until his famous self-belief begins to give way to doubt and regret?